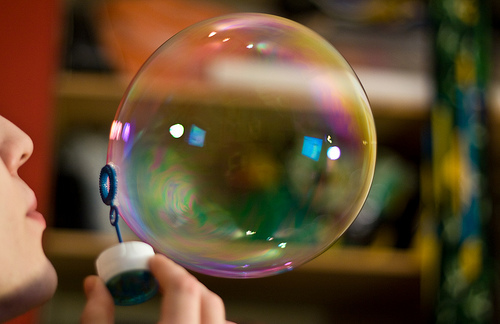 Week ahead: Will Yellen Pump or Pop Bubbles? The rest of the Senate appearance was pretty much what you would expect: a defense of the monetary policy that Yellen helped create. She said that the Fed’s bond buying program had “made a meaningful contribution to economic growth and improving the outlook” and said that when there has been progress in labor market, the Fed would reduce its purchases. As the confirmation process continues, investor attention will shift to the current chair, Ben Bernanke this week. He will deliver a major speech on Tuesday night, which along with the release of the minutes from the last policy meeting could contain clues about future central bank actions. Specifically, everyone wants to know whether there are specific metrics that would lead to a change in policy. While the central bank maintains that the current game plan is necessary, there are risks to the strategy. At every meeting, Fed officials weigh the benefits of quantitative easing (QE) versus the costs, which include managing a ballooning balance sheet and the threat of higher inflation in the future. The Fed’s purchase of mortgage-backed and treasury securities, has so far left the central bank holding $3.86 trillion in assets. Defenders of the policy say that the Fed can simply sell those assets in the future, but doing so could mean absorbing significant losses, since the Fed would likely be selling as bond prices were falling. In theory, the Fed has other policy options, but they have never been tested, which makes economists a bit nervous about their efficacy. One group not showing signs of nerves is investors. All of the sudden, Mom and Pop are getting back in the game. According to Strategic Insight, inflows into stock mutual funds and Exchange-traded funds are on track for a total of $450 billion for 2013, which would be more than the last four years’ inflows. Of course, the idea that regular people are jumping back in after 56-month, 166 percent bull-run may mean that the market could be setting everyone up for a correction (a pull-back of more than 10 percent). Then again, the technology bull market lasted from October 11, 1990 until March 24 2000, resulting in a 417 percent gain, so maybe the bull has more upside. MARKETS: For the sixth consecutive week, the Dow and S&P 500 closed higher and at new all-time nominal high levels.